The heroic story of the Mercury Seven, the pioneer astronauts who risked their lives for America’s first manned space voyages. Project Mercury ran from 1959 through 1963, put the first American in space, and defined NASA’s manned space flights to come, from Gemini through Apollo. 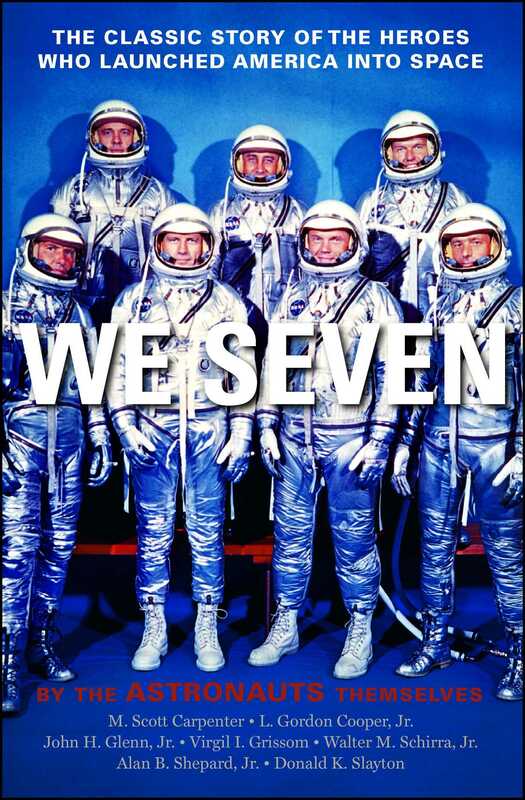 In We Seven, first published in 1962, the astronauts including Scott Carpenter, Gordon Cooper, John Glenn, Virgil Grissom, Walter Schirra, Alan Shepard, and Donald Slayton—take you behind the scenes of this pioneering program—even into the space capsules themselves. Featuring fascinating firsthand accounts and black-and-white photographs throughout—the astronauts describe the exhilarating launches, hair-raising challenges, and incredible successes of Project Mercury—from breaking through the earth’s atmosphere to panicking when a hatch blows. But Project Mercury was more than the heroism of individual missions. In We Seven, America’s original astronauts share with us—as only they can—the hopes and dreams of the US at the dawn of a new era. As part of the Mercury Seven, M. Scott Carpenter became one of America's first astronauts. As part of the Mercury Seven, Gordon L. Cooper became one of America's first astronauts. More books from this author: John H. Glenn Jr.